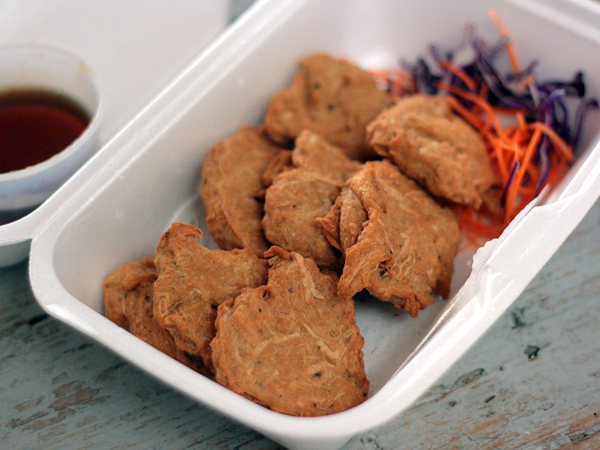 Yes, we order dinner from Vegan Glory and have it delivered. It used to be an occasional thing, but the last few months, delivery from the mostly Thai vegan restaurant has become a regular weekly meal for us, usually on Mondays, which tend to be, as you know, hyper manic from 7AM until someone looks up from the computer and notices that it’s 8:45 PM and we haven’t eaten all day, haven’t even thought about what to make for dinner, let alone actually, you know, made anything except an extravagant tiramisu ice cream cake that is really more appropriate for breakfast the next day. 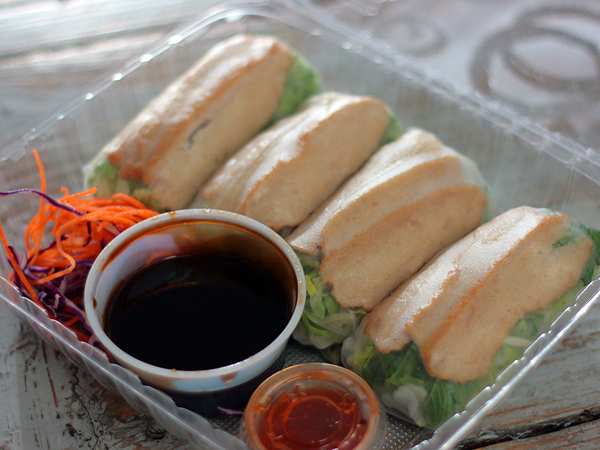 Vegan Glory is convenient to order, fast, and inexpensive (even with the added delivery fee because we live outside their delivery radius). Still, we consider Vegan Glory a “luxury” dinner because no one has to cook nor clean. 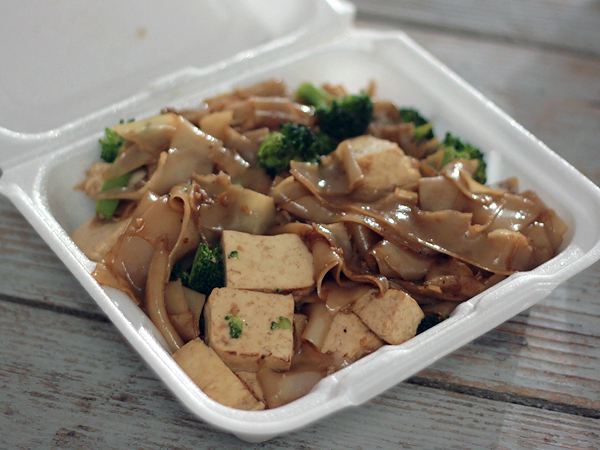 They have a fairly broad selection of items on the menu, but we always tend to get the same three things: Freshy Rolls, Soy Chicken Nuggets, and Pad See Ew with fresh, not fried, tofu. 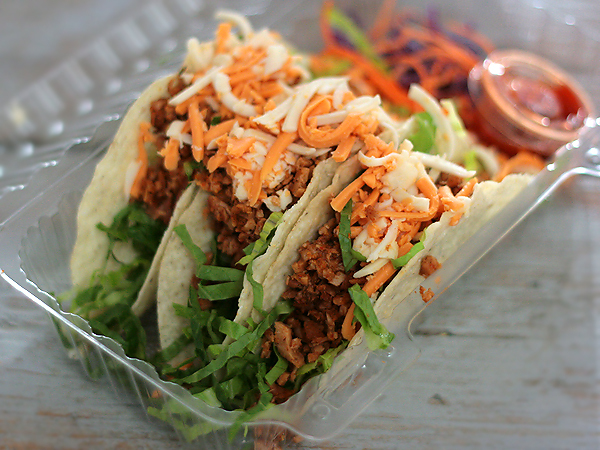 If we’re feeling especially orderous, we add Crispy Spring Rolls, Tofu with Fresh Ginger and/or Crispy Tacos. The tacos and a few other things don’t match the mostly Thai menu but whatever.